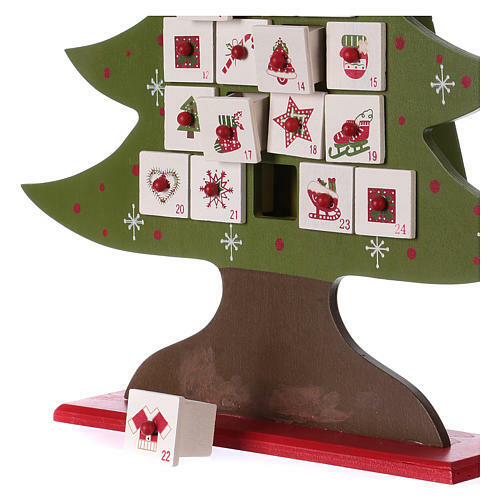 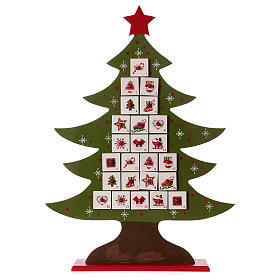 Advent calendar in wood, Christmas tree shaped. 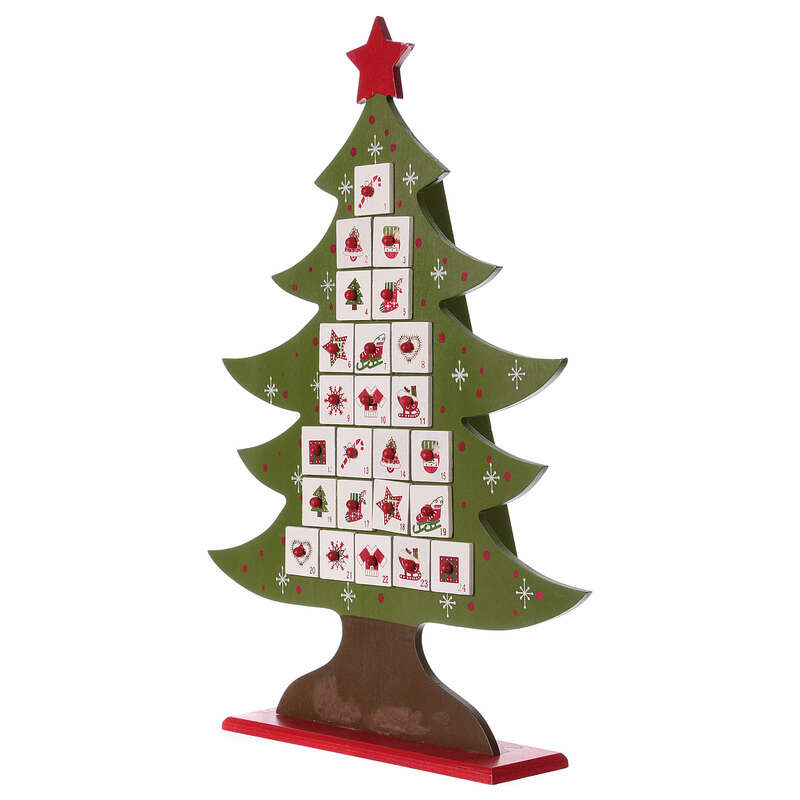 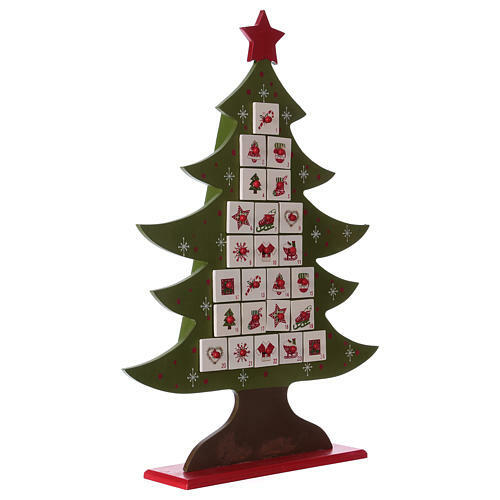 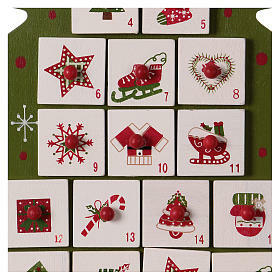 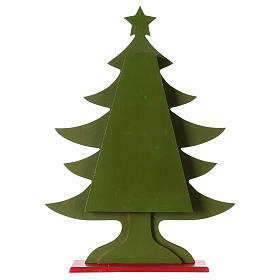 Advent calendar in the shape of a Christmas tree with red star at the top. 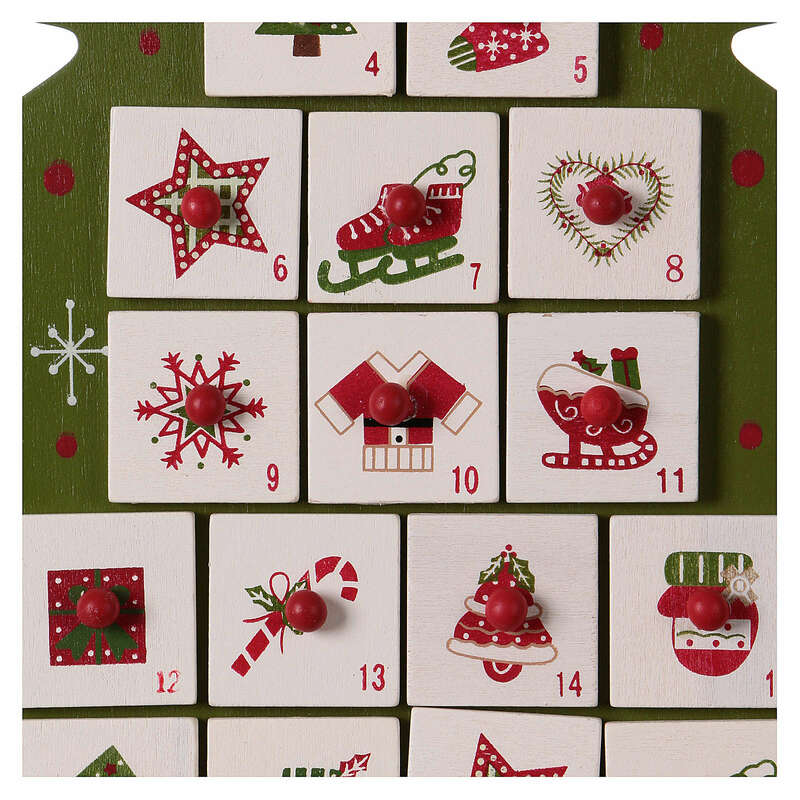 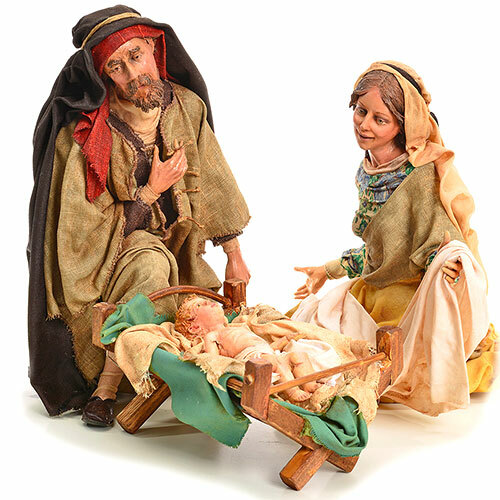 The small cells are decorated with Christmas images.